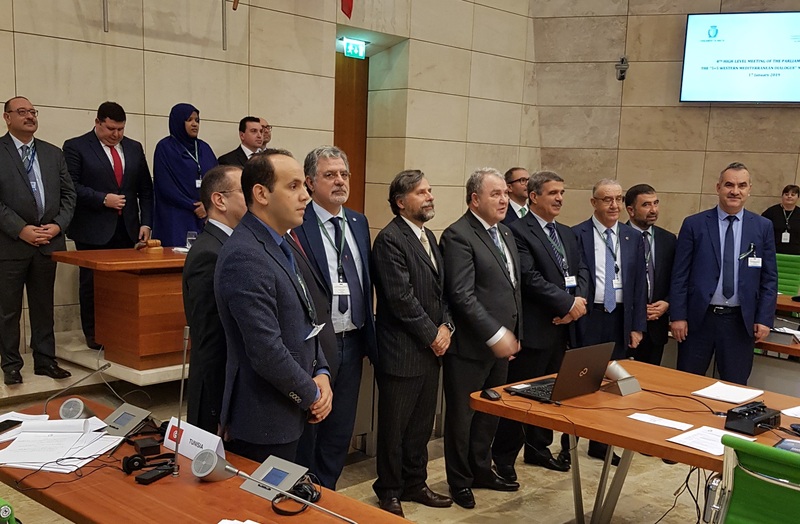 The Parliamentary Assembly of the Mediterranean held in conjunction with the Parliament of Malta the“8th HIGH-LEVEL MEETING OF THE PARLIAMENTS OF THE “5+5 WESTERN MEDITERRANEAN DIALOGUE MEMBER STATES”. The meeting was hosted and presided by the Speaker of the House of Representatives, Hon. 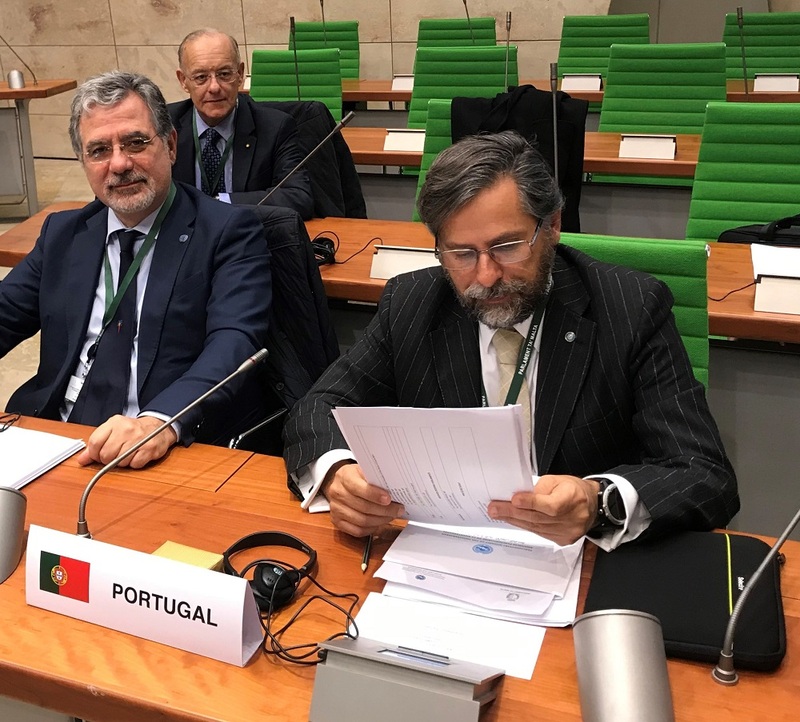 Angelo Farrugia, on 17th January 2019, the day before the 15th Meeting of the Ministers of Foreign Affairs of the 5+5 Western Mediterranean Dialogue. The Parliamentary dialogue is open to all 5+5 member states, namely France, Italy, Malta, Portugal and Spain, and Algeria, Libya, Mauritania, Morocco, and Tunisia. The Parliamentary Assembly of the Mediterranean partecipated as an observer in its own capacity and as the secretariat of the parliamentary event. The Arab Parliament was also represented as an international observer. At the end of the parliamentary meeting the conclusions shall be presented at the meeting of the Foreign Affairs meeting, by Hon. Angelo Farrugia and the President of PAM, Hon. Pedro Roque. The Parliamentary Assembly of the Mediterranean strongly believes in this sub-regional dialogue and has been closely associated to the 5+5 process since the Ministerial meeting of Rome and the Summit of Malta of 2012, when it was entrusted with the mandate to promote and support the Western Mediterranean Dialogue Parliamentary Forum. As per established practise, the agenda mirrors that of the ministerial event and therefore, also on this occasion, the parliamentarians addressed in depth the issues of sustainable development, migration and youth in a difficult regional context marked by a new recession of the global economy, terrorist threats and protracted conflicts. 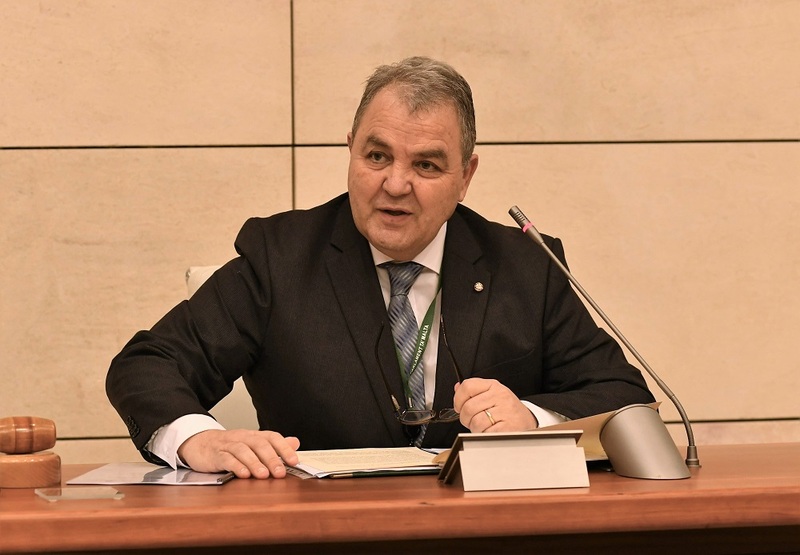 In his opening address the Speaker of the Parliament of Malta explained that the meeting reasserts the shared belief that the Mediterranean is a sea of opportunity and a mosaic of traditions and people. Speaking on the agenda items of the meeting, Farrugia highlighted the fact that the three topics to be discussed during the meeting are three important elements in the Mediterranean and that a serious discussion on shared challenges and opportunities is important. Speaking about migration, the Speaker expressed regret that, in some cases, humanitarian assistance is delayed due to a futile war of words, especially on social media. He called on the Members of Parliament present to keep governments accountable and place the well-being of human lives before any political issues. Speaker Farrugia further highlighted that Members of Parliament are best positioned to address any ongoing phenomenon and this through their legislative work, parliamentary diplomacy, and dialogue with the constituency. On this last point, the Speaker emphasised that maintaining an open dialogue with the constituency is very important, especially when discussing issues of grave concern such as the depletion of the environment, the future of young people, and perceptions linked to migration flows in the Mediterranean. On his part the President of the Parliamentary Assembly of the Mediterranean, Hon. Pedro Roque, said that one of the advantages of sub-regional fora such as the 5+5 format is that it allows neighbouring countries to engage in an open dialogue on specific issues of common concern, because other political topics, which often dominate the larger regional discussion, are tackled at a broader regional and international level. « The Western Mediterranean sub-region has its own problems, and today we will have the possibility to focus directly on them. Of course, many of these issues are connected to the larger regional trends, such as political instability in Libya, mass migrations from the Sahel, global terrorism, the return or relocation of Foreign Terrorist Fighters, high unemployment rates, and adaptation to climate change », Hon Roque said. Cooperation needs to be increased in order to address other issues at the sub-regional level, such as policies and measures to promote job creation and economic growth, to support the youth and to ensure that they have a decent life, with concrete opportunities in order to avoid their radicalization. We all know that terrorist groups find fertile ground in poor contexts. « We must therefore do our best to avoid these conditions to materialize, by offering a valid, better option to our youth », the PAM President concluded.